BEIRUT (AP) — Lebanon said Monday it will not take part in a Middle East conference in Poland this week that is widely seen as an effort to isolate Iran. Foreign Minister Gebran Bassil made the announcement during a joint press conference with his Iranian counterpart, Mohammad Javad Zarif, who is on a two-day visit to the Mediterranean country. The two-day Warsaw conference begins Wednesday and will be co-hosted by the U.S. Some 80 countries have been invited, including Israel. Lebanon has been following a policy of disassociation from regional conflicts. Iran enjoys wide influence in the country through the Hezbollah militant group, which along with allied parties holds a majority in parliament. Lebanon is technically at war with Israel, and Lebanese officials avoid conferences where Israelis are present. Later Monday, Zarif met Hezbollah leader Hassan Nasrallah and discussed the latest developments in Lebanon and the region, the group’s Al-Manar TV said. Zarif reiterated during his news conference with Bassil his country’s readiness to offer Iranian military assistance to the U.S.-backed Lebanese army, adding that it is up to the Lebanese to choose what they want. 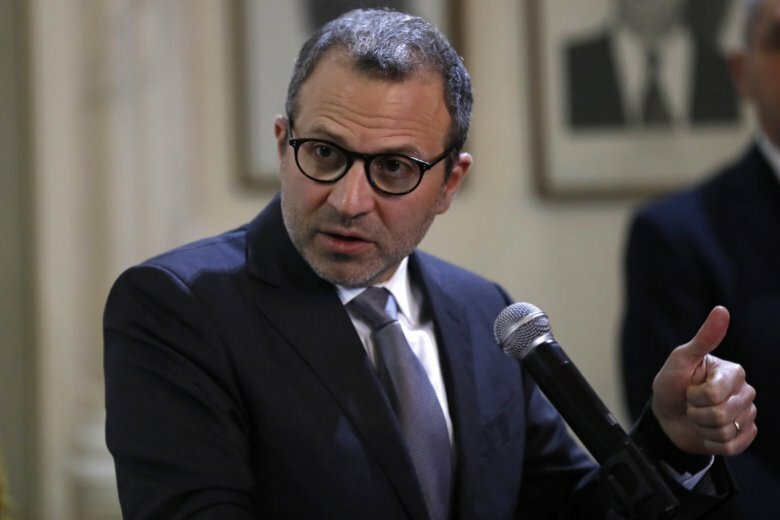 Some Lebanese politicians have expressed reservations over the offer from Iran, which is under U.S. sanctions. They fear Western nations may punish Lebanon if it accepts arms from Tehran. Iran has also offered to help improve Lebanon’s crumbling power sector. “I want to confirm again that the Islamic Republic of Iran is ready to cooperate with the Lebanese government and the Lebanese army in any field they see suitable,” Zarif said. “We don’t want to embarrass anyone in Lebanon through the cooperation with the Islamic Republic,” he said, adding that there is no international law that bans Iran from cooperating with any country. Zarif also said Iran would also help Lebanon with its refugee crisis. Some 1 million Syrian refugees have fled to neighboring Lebanon since the civil war broke out eight years ago. Iran has been one of the main backers of Syrian President Bashar Assad, who appears to be winning the war thanks to huge support from Tehran and Russia.